A commission by the Library Council of The Museum of Modern Art in New York, Your House consists of a laser-cut negative impression of Eliasson’s house in Copenhagen on a scale of 85:1. 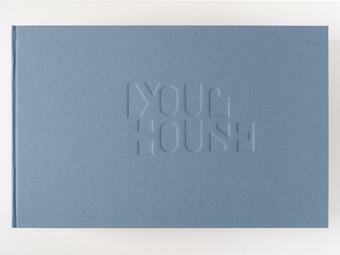 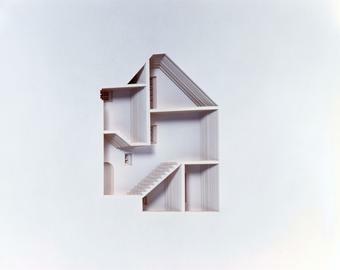 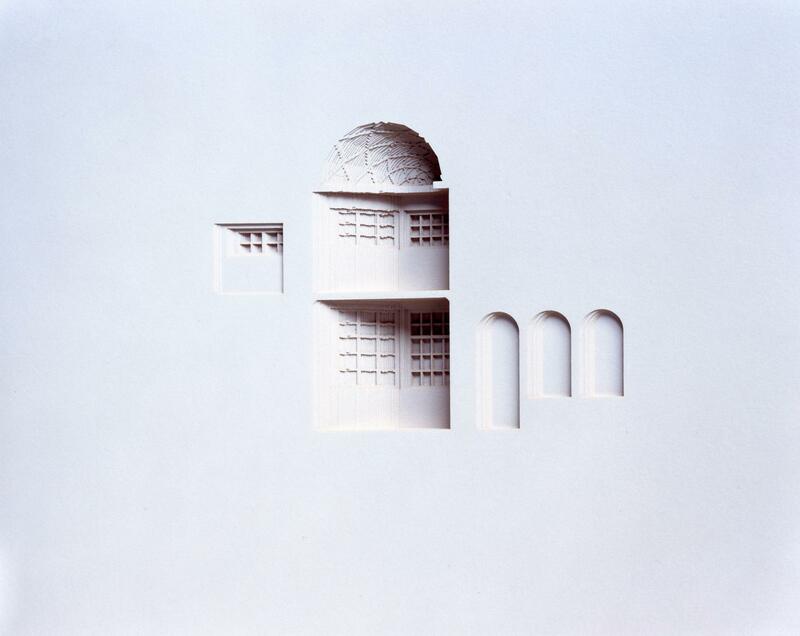 Designed and realised by Michael Heimann and Claudia Baulesch, the book is based on a computer-generated model of the house, sliced vertically into 454 even parts. 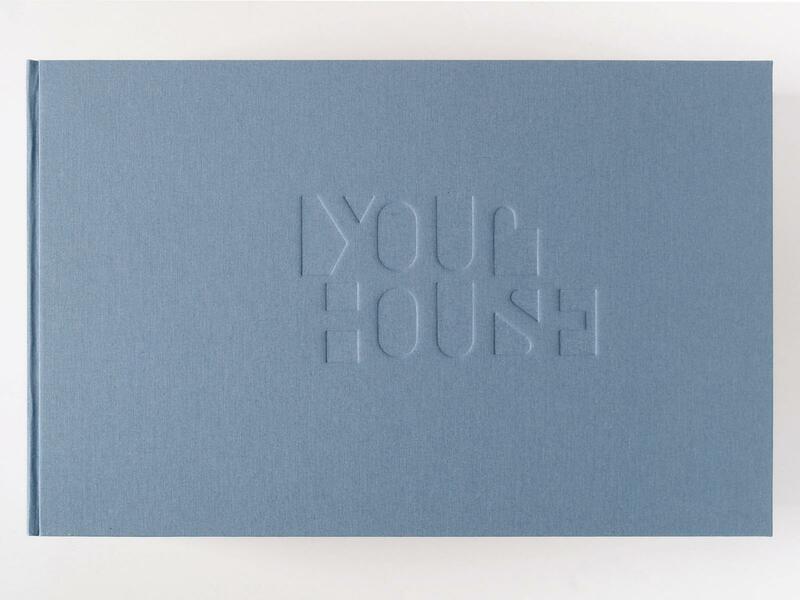 Each of the corresponding 454 hand-bound leaves (or 908 pages) is individually cut and corresponds to 2.2 cm of the actual house. 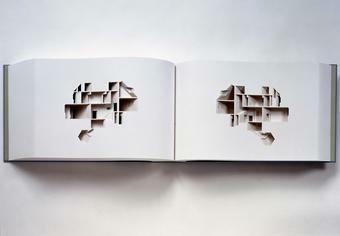 As readers leaf through the pages, they have the illusion of slowly making their way through the rooms of the house from front to back, thus constructing a mental and physical narrative. 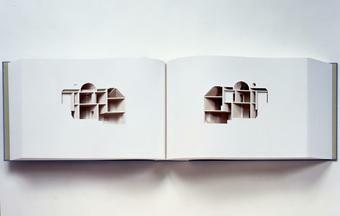 The result is an intensified sense of space, dimensions, materiality, and time.